Just as you had to take certain steps when you purchased your rental property, you must also make certain preparations when you want to put your rental property up for sale. Getting yourself and your property ready will help give you the best chance of selling your property quickly and for top dollar. Here are the steps you should take before you put your property on the market. Income and expense report: You want to make sure you have all of your financial information in order before you put your rental property up for sale. Preparing an income and expense report will give you, and any potential buyer, a better picture of the value of your property. Income: Included in this income and expense report, you will want to record all income received by the property on a monthly and an annual basis. This could include tenant’s monthly rental payments, as well as any additional rent from parking spaces, washer and dryers use or payments if you are lucky enough to have a billboard or cell phone tower on your property. Water and Sewer Charges: If you are responsible for utilities. Electricity Charges: If you are responsible for utilities. Gas Charges: If you are responsible for utilities. Oil Charges: If you are responsible for utilities. Maintenance: Most investors and/or Realtors will estimate a percentage for maintenance. Traditionally, this amount is five percent of the gross operating income. Maintenance costs will vary based on the size of the property, the age of the property and amount of exterior space. It can include things like landscaping costs, costs to repair or replace outdated or failing fixtures, door locks, windows, cracked tiles, plumbing leaks, roof leaks or wobbly railings. Vacancy Costs: Most investors will account for a vacancy factor as well. Depending on the property type, you can expect this number to be between five and ten percent of gross operating income. 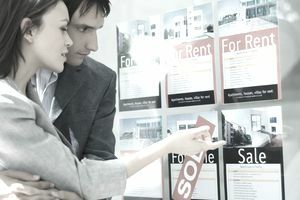 Vacancy costs can include costs to market the property, such as placing ads for your rental, and costs to hold the property, such as taxes and insurance. Items from income and expense report: Before you put your rental property up for sale, you will want to find the hard copies of the items you have included on the income and expense report. You will want to gather these statements from the previous year. This can include all utility bills, insurance statements, property taxes, mortgage payments, rent payments, maintenance costs and so on. You should scan all of these receipts into the computer so you also have a digital copy of them. This will make it easier to send an item to a potential buyer, an attorney or a Realtor if requested since you will already have it available electronically. Copies of all applicable leases: You will want to gather the copies of all lease agreements for current tenants. This will be used to verify the current rent payment, as well as the length of the lease. List of any recent improvements to the property: You should put together a list of any improvements you have made to the property in recent years. For example, have you put on a new roof, replaced the furnace or renovated the kitchen? You will also want to include the approximate date the work was done and possibly the approximate value of the improvement. In your list of improvements, you will want to add descriptive adjectives. For example, instead of saying, renovated kitchen, it may be more appealing to say, renovated kitchen, including grey shaker style cabinets, polar white granite, and beveled subway backsplash. In addition, you should also find any proof of the work that was done. This could be copies of invoices, contracts for the work or other receipts. Often, the Realtor will use this list of improvements when putting together the listing details for your property. Therefore, this list should be as thorough as possible. ​Copies of any permits: The first thing you will want to do is to make sure there are no open permits on your property. Depending on your town, you can either make this request in person, over the phone or online. This is known as an open public records request. If there are any open permits on the property, you will likely need to close them out before sale. You will need to determine what work needs to be completed, hire a licensed contractor to complete the work, then have an inspector from the town come out and verify that the work was done to code so they can close out the permit. You should gather or obtain copies of all permits for any work that was ever completed on the property. Your town should be able to provide you with copies of all permits recorded for the property. You should assess your finances to get a ballpark of how much money you could potentially make if you sell your property. 1. How much do you owe on your mortgage? Do you have any prepayment penalties? 2. Know the closing costs you will be responsible for during the sale of your property. This could include a realty transfer tax at sale, realtor commission at sale, recording fees and attorney’s fees. 3. Know what your tax basis is for the property so that you know how much in taxes you are going to owe. Speak with your accountant to determine what your tax basis is. In general, your basis will be all of the expenses that have gone into the property that was not written off in a given year, such as purchase price, closing costs, and improvements, minus how much you have written off in depreciation over the years. 4. Know what the rough market value of your property is. You should find two or three comparable properties that have sold in your area in the last year. You can use these numbers to get a rough idea of the price range in which your property should be selling. 5. Take the rough market value of your property, minus the amount you have left on your mortgage, minus closing costs of selling your property to determine how much money you would walk away with at sale. 6. You then need to determine how much money you will owe in capital gains taxes. To do this you will take the sales price of your property minus the tax basis you have calculated. This amount will determine what you owe for capital gains taxes. Make sure you speak with your accountant because there can be scenarios where you walk away with very little money at sale but owe significantly more in capital gains taxes due to depreciation write-offs taken throughout the ownership of the property. Deferred Maintenance: Prior to the sale, you will want to get your property looking as good as possible. This is the time to address any maintenance issues you have been putting off. This can include painting common areas, improving landscaping or curb appeal, fixing running toilets or minor drips in faucets. Capital Improvements: You also need to determine if completing any capital improvements prior to sale is worth it. Will the improvement produce a larger return than it costs? For example, are you able to put a new roof on the property for less than the market rate? Does it make sense to invest more money into the property? If you do not make such improvements, will it reduce the possibility of sale? Will a bad roof, rotting deck or holes in walls deter someone from purchasing the property? Notify tenants: When your rental property is actually on the market, prospective buyers will have to be able to enter at least one rental unit when they are viewing the property. You will, therefore, have to determine how and when you will notify tenants that you are putting the property up for sale. Depending on the size of your property, you may not have to notify all tenants of your intention to sell the property. You will only have to notify the tenants whose apartments you wish to show to prospective buyers. Sometimes tenants are fearful when they hear that the property is going up for sale. They worry that they will be displaced when it is sold. They also worry how a new landlord will manage the property. Some tenants will also use this as an opportunity to vent against the landlord for reasonable and unreasonable issues, so be careful about letting the tenants interact with prospective buyers. Fill any vacancies: Prior to sale, you will ideally have 100 percent occupancy at your property. If you do have a vacancy, do not cut corners to try and fill the vacancy quickly. Make sure you still follow your complete screening process. If your property does not sell quickly, you will be stuck with whatever tenant you place in the property. You also do not want to place problem tenants in the property who may damage the property at a time when it needs to look its best. It is better to have a vacant unit than one that is occupied with a bad tenant. Interview Realtors: You will need to find a Realtor to list your rental property with. If you already have a Realtor you have worked with in the past and feel comfortable with, then you are all set. Otherwise, you will need to interview several Realtors. It is important to look for Realtors who specialize in the property type and the area in which you are selling. Single family homes or condos may not need someone so specialized, but for a multifamily, a retail property, a mixed-use property or other more unique investments, you want to look for someone who has success selling the property type you are trying to sell. Think of it in the same way that attorneys specialize in certain areas such as divorce, tax appeal or corporate law. Investment properties do not follow the same rules as selling primary residences to homeowners. The normal housing market is strongest in the spring, as families are trying to get into their new homes before the new school year. In general, you can put an investment property up for sale at any time of the year. You may see lower activity around the holidays or in the summertime.